Hashtags have been around for over a decade now, and in that time they’ve become a vital part of social media marketing. They’re widely used on the four main platforms (Twitter, Instagram, LinkedIn and to a lesser extent Facebook) and are a great way of tracking topics and conversations you’re interested in, and also boosting the reach of your own posts. They’re a simple tool, but should be used and adapted in different ways. Here, we’ll go through some of the most effective uses of hashtags before looking at how they should be used on different platforms. This is a hashtag created by a company – usually containing their name – as a means to track conversations about them. For example, ours at Surrey is #uniofsurrey. If you’ve got a branded hashtag, it can be a quick way to see what sort of things people are saying about your brand. Hootsuite and other tracking tools are an effective way of tracking hashtags, but you can also monitor them through the social platforms themselves – simply click on the hashtag and you’ll be shown all the posts that include it. It also sometimes helps to incentivise the use of your branded hashtag by providing users with the chance to feature on your channel if they use it. If you’re holding an event and plan on covering it on social, it pays to create a hashtag for it. The hashtag should be short and, importantly, have the name of your brand or the event itself included. Shortening words or using acronyms help to keep the hashtag svelte if the names are particularly long. Make sure you decide on the hashtag well in advance of the event and publicise it to everyone attending to encourage them to use it themselves. Then, like a branded hashtag, you can use it to tap into conversations about the event. It can also be a tool to engage with attendees. These are very similar to event hashtags, though they will instead run for the length of a campaign, rather than just a single event. Again, it’s important to keep this hashtag short and relevant to your brand. You don’t have to create your own hashtag to reap the benefits of them – in fact, using existing ones can massively boost your reach. When posting about a certain topic, particularly if it’s quite a broad one, you should look to see what’s already being used. RiteTag is a useful site for this – simply search for keywords or topics and you’ll be given a list of relevant hashtags and how much they’re used. The stats they give are only for Twitter, though. On Instagram, if you search for a hashtag, as you type you’ll be given a list of related hashtags and the number of times they’ve been used. Another (slightly sneaky) option is to take a look at what hashtags your competitors are using, and to what effect. On the Twitter sidebar (or on the search tab if you’re using the mobile app), you’ll see a list of trending hashtags and phrases for the region you’ve selected. Keeping an eye on these is always useful as you may find that some are relevant to your brand, or maybe a particularly campaign. 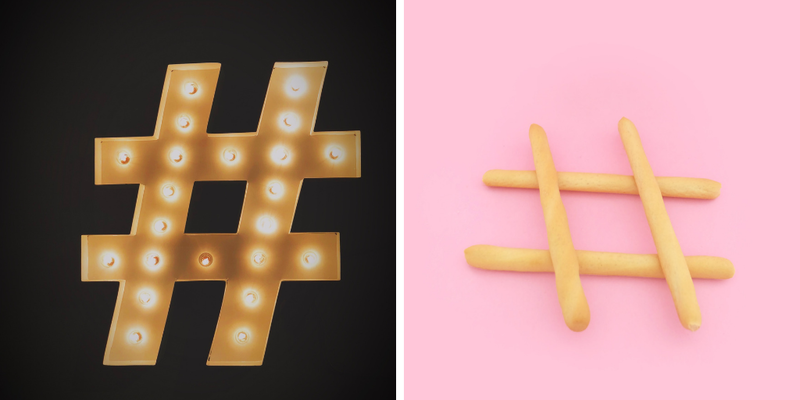 So, how should you use hashtags on different platforms? The OG of hashtags. Research has shown that 1-2 hashtags in a tweet can double its performance, though more than that can potentially damage it. Obviously, with a limited amount of characters, it doesn’t make much sense to include loads of hashtags anyway. Too many will make your tweet look like spam, which turns people away. 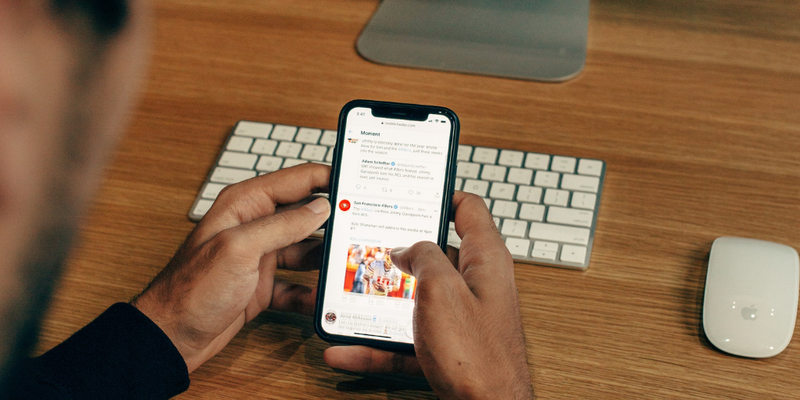 You also don’t have to just stick hashtags at the end of your tweet – if you’re using a particular phrase or word from the post itself as a hashtag, instead of repeating yourself, just turn the word/phrase in the post into a hashtag. There’s a lot more scope to use a range of hashtags on Instagram. Unlike Twitter, using more hashtags on Instagram won’t damage a post’s performance, it’ll actually enhance it. Instagram allows you to use up to 30 hashtags in one post, so it makes sense to get as close to this number as possible, while ensuring that all the hashtags you use are relevant. You can also now add hashtags to your Instagram Stories. Hashtags weren’t available on LinkedIn until recently, but you’re now able to add as many as you like to a post. However, like Twitter, too many can have a negative impact. It’s best to stick to two or three and, as always, ensure they’re relevant to what you’re posting about. Though it allows for their usage, Facebook is not the place to be using hashtags. They have no clear benefit on this platform and many pages have actually found that posts without hashtags perform better.